Love Reveals the Heart of God. This is one of the most inspirational reference books ever written about the sovereign and eternal Love of God. It enlightens its readers about the divine, sacred Love that leads to auspicious and enduring well-being for the family. It gives its readers a deeper understanding of God's heart. Objectively, it also inspires the gifts of the Spirit, making its readers more aware of the depths of God's Love, while attaining Christian maturity. But because of his great love for us, God, who is rich in mercy, made us alive with Christ even when we were dead in transgressions-it is by grace you have been saved (Ephesians 2:4-5, NIV). The heart of God is always open and ready for the soul that yearns for His Love. The beautiful revelations of Love expressed within this book are priceless. They will help to enhance both the spiritual and social relationships between God and humankind. 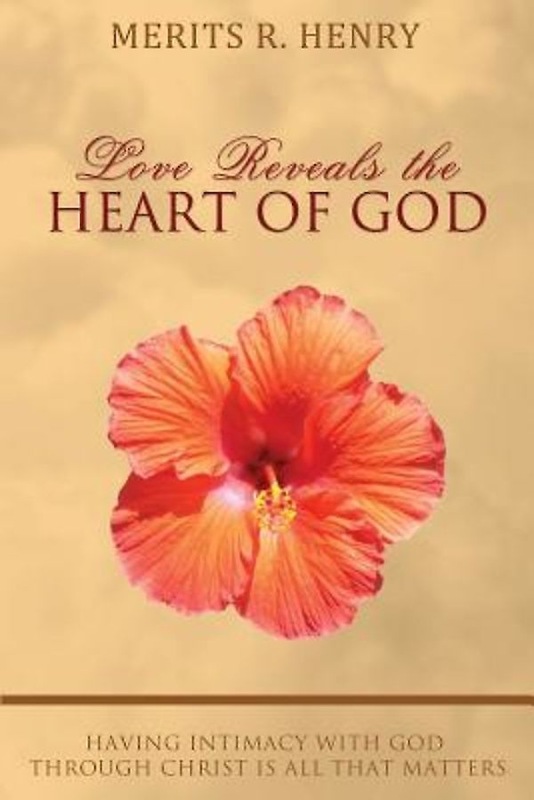 This book will help readers find a state of blessedness, inspiring a myriad of questions and a longing to be immersed in Love, as well as a greater desire to be accepted by and receptive to others in their spiritual and social relationships. Start your journey to the heart of God today and discover His infinite Love for us. This book is a recommended guide for those who would want to learn more about God's divine plan for the family. MERITS R. HENRY is a dynamic minister and teacher of the Gospel. He carries a heavy prophetic anointing on his life, which is evident in his ministry. He has traveled extensively throughout the Caribbean, Canada, and the United States, teaching and preaching the undiluted Word of God. He is the author of The Anointing Exposes the Deeds of the Flesh and The Spiritual Benefits of Praise and Worship Devotional. He has earned his BA in Christian Counseling from Cornerstone University and is a Licensed Clinical and Pastoral Counselor by the National Christian Counseling Association.